This minimalistic table light is based on the same structure as the families pendant lights. Upper and lower part are not affixed for a great variety of color and material combination. 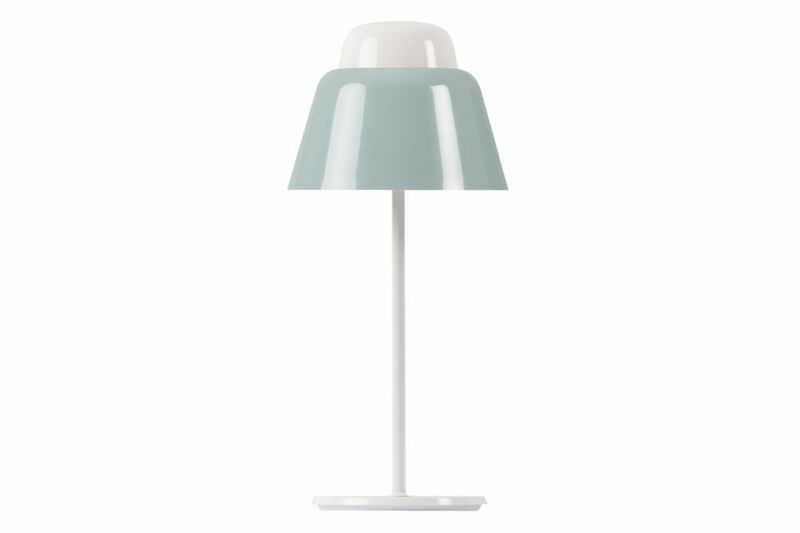 The softly lightened glass top stands in beautiful contrast to its painted lower shade.